Whether your garden is large or small, short or broad there is a garden design for you. However, with so many varieties of gardens to choose from it can sometimes be a daunting prospect. At Wonderful Garden Landscape Design, we go above and beyond for our customers, helping them choose the garden design which best represents their imagination and landscape. A staple of English homes, a quintessential British garden is a much-loved asset to over 78% of homeowners across the UK. Whilst not every home has a garden equivalent to Kew or Versailles, every small garden has an undiscovered potential. However, it is a lengthy process to uncover and explore how to put in practice all the small garden ideas you discover. There are many types, shapes and forms of garden which if carried out correctly can create a fabulous extension to the house, whether you choose a rustic, traditional or modern design, your garden should reflect your home and personality. 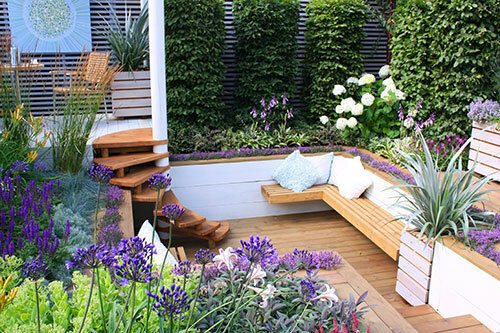 However, that shouldn’t restrict you in thinking outside the box with your garden ideas. We are here to help you in your process of finding the perfect garden design for you and developing your dream into a real-life prospect. Our team of garden planners are experienced and can provide insightful garden design ideas to suit your specifications as well as your landscape garden. 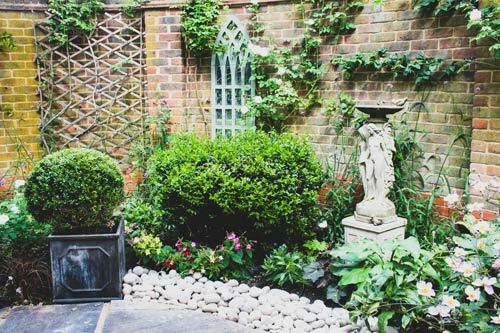 Size does not matter, and whether your garden is a courtyard, front garden, or a small rear garden there will still be a need to carefully plan and creatively design the space to ensure the garden flows and every area of space is maximised. For instance, in a small garden, fragrance can be increased by the space and close proximity you have to the certain plants which grow around your plot. Studies have shown that when developing a garden there are a few common types that people tend to choose, whether it is for its practicality, design, space, sound, colour, fragrance or liberty of movement. Regardless of the reason behind it, the main important element in planning a small garden design is to bring joy, peace and / or happiness to the owner. In the end it’s all about defining the space and tricking the eye with design, colour, lighting and maximising the garden to create solutions to seating, storage and an illusion of space when the area is limited. Similarly, we can design small terrace gardens without grass, formal gardens using planting and symmetry, as well as contemporary elegance with clean lines by using our knowledge and experience of design solutions for small gardens. 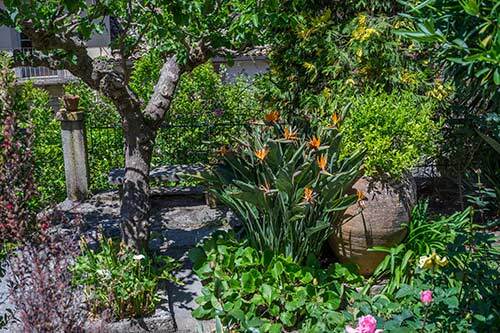 The key principles that need to be thoroughly considered when deciding to create a garden design for small gardens are the investment, which needs to be weighed carefully to ensure the best possible materials within the budget allowed. In addition, it is important to consider the style, the time that you wish to further dedicate to the small garden, as well as the final purpose of it. By using materials of the highest quality, you can be assured that your landscape design will not need a renovation or any replacements for several years, and therefore you can make a long-term economy while still preserving the beautiful garden landscape design. Garden ideas can come in various shapes, sizes and practicalities, whether they are made from hardwood, stone and gravel or grass, a garden can be used for a harbouring different fruit, vegetables, herbs, flowers, tropical plants and many more. 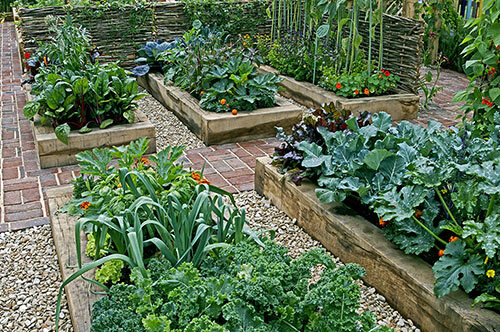 Unlike many other garden designs, vegetable gardens have a lot more benefits to them aside from simple aesthetic appeal. The main potential of a vegetable garden is to grow vegetables that will provide nourishment and enjoyment for the whole family. However, even with a slightly larger garden, it is relatively difficult to grow enough vegetables that will sustain an entire family. Therefore, the main concept of designing a vegetable garden in a more restricted area, although purely a hobby, can be extremely gratifying and worthwhile once you discover the results of your hard work. 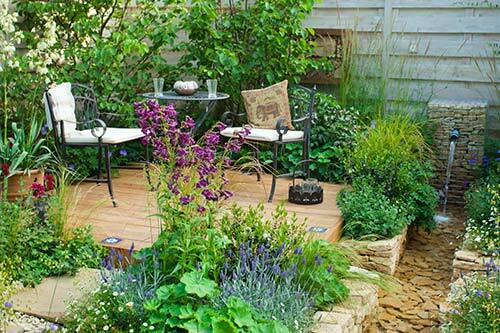 Similarly, herb gardens are often used in modern garden design, but they also lack practicality when slightly reduced. Nonetheless, they can be used for growing medicinal herbs that can aid in extreme cases, such as when a store is closed and can prove to be quite an aesthetically pleasing feature to add to a small garden design. Perhaps the most common choice when deciding to create a contemporary garden design, flower gardens are the most colourful and the most popular choice in offering a revival to a small garden. 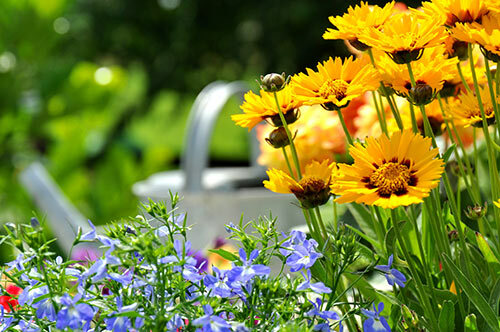 Whilst having an herb garden seems easy, a flower garden adds more when it comes to landscaping plants. Not only does shape, position and lighting come into question, but also temperatures and the possibility that some plants may not be welcomed in the environment. So, if you have decided on your garden design plans, and the resolution is that you wish to add a visual perspective and more colour, then the flower garden might be the right choice for you. On the other hand, we advise to be careful when choosing the plants and flowers, as the more exotic ones for example may have special need and requirements, which if not met can either die or prove to become a financial burden, as the cost of maintaining an exotic plant can go higher than an average one. Although these are just a few, they are some of the main gardens that can transform into something more such as: raised, indoor, tropical, greenhouse, botanical and even therapeutic gardens, which help people that suffer from stress, anxiety or depression relax and treat themselves through the beauty of plants. 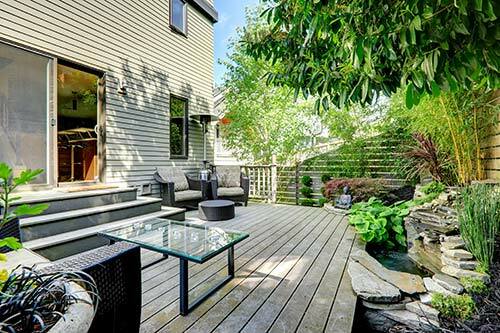 A small garden design can follow in any form or become a symbol of your home, personality and your own style. These styles can transform into a modern garden design or a contemporary garden design, which is not necessarily defined by being modern as well. "Flowers are restful to look at. They have neither emotions nor conflicts"
Once we have considered the options available and have taken in all the possible variations for your small garden design, we can create a design proposal detailing the ideas, thoughts, needs and extras such as lighting, water, sound, and style within the investment expectation and together with a mood board of thoughtful images we will reflect how the garden may look once it has been completed. 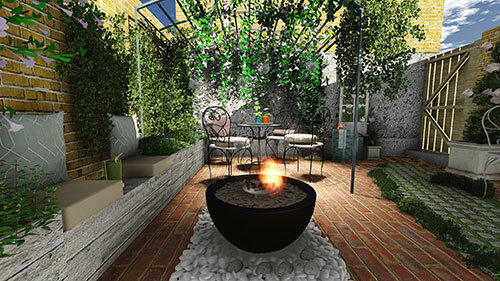 Professional garden designs provided by us are created using the latest computer-generated technologies through CGI or, computer generated imagery. 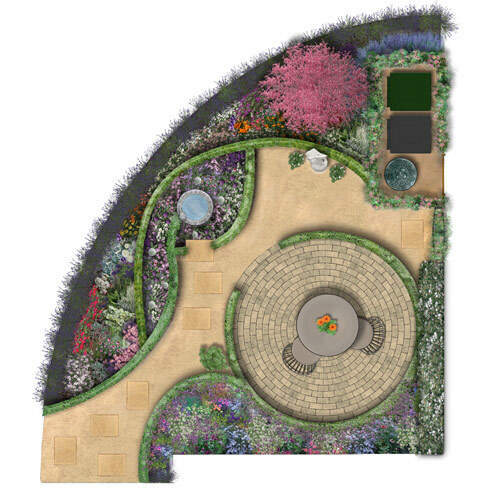 Our garden design team is dedicated to providing unique, inspired and creative designs totally bespoke to you. Our design fees for small garden design start at around £600.00 and are often be based on 10% - 15% of the build costs. Additionally, you can recoup up to 25% of the design costs if we construct and build the garden for you. We will be pleased to come to your home and carry out a FREE consultation so we can get to know you and your project better. 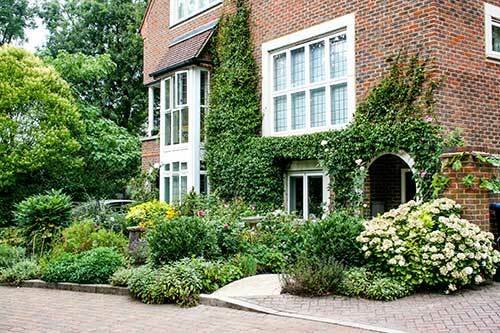 It’s worth remembering that professionally landscaped gardens are expensive due to the sheer time and effort involved, and will often run into thousands of pounds. Therefore, it’s important that you carefully consider the amount of investment available and a contingency for anything unforeseen as the project progresses. Although it can be quite a serious investment, a beautifully landscaped garden will dramatically improve the look of your home as well as your lifestyle, so we think it’s well worth it. By understanding your needs and fitting them with your budget, we can design your landscape to meet your expectations and use the best materials we can within the design and build of the garden. Ready to start planning the garden of your dreams?